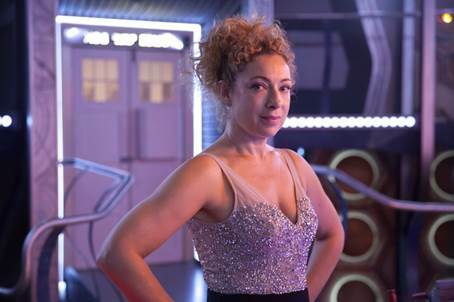 River Song to appear in Doctor Who Christmas Special. Exciting news for Whovians from the BBC today! They have announced that the popular established time-line travelling character of Professor River Song (played by Alex Kingston) will be returning to the series for an appearance in the Series 9 Christmas Special. River Song made her first Doctor Who appearance in 2008 in ‘Silence in the Library’ and ‘Forest of the Dead’ and has appeared in 15 episodes to date. Series 9 is due to start 19th September with the Christmas special set to air 25th December. Filming on the the eleventh Doctor Who Christmas special starts this week and is written by Lead Writer and Executive Producer, Steven Moffat, Executive Produced by Brian Minchin, produced by Nikki Wilson and directed by Douglas Mackinnon (Doctor Who, Sherlock).